The National Lung Cancer Roundtable (NLCRT) is a national coalition of public, private, and voluntary organizations, and invited individuals, dedicated to reducing the incidence of and mortality from lung cancer in the United States, through coordinated leadership, strategic planning, and advocacy. The National Lung Cancer Roundtable advances initiatives that focus on provider engagement and outreach, tobacco treatment in the context of lung cancer screening, lung cancer in women, shared decision-making about screening, implementation of screening programs, access to high quality screening, policy action, triage for appropriate diagnostic evaluation and therapy, and an end to the stigma and nihilism associated with a diagnosis of lung cancer, which pervades every aspect of this disease. Launched in March 2017, the NLCRT currently includes more than 80 member organizations across the country, among them clinical professionals, researchers, lung cancer advocates and patients, professional societies, cancer centers, academic institutions, health plans, federal agencies, and corporate associates. Looking for something you don’t see here? 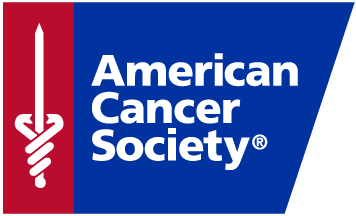 This Website is administered by the American Cancer Society, Inc. on behalf of the NLCRT and its member organizations.